Mantiques: It's a guy thing... - Well Dressed Dad - It is a proper menswear blog. Like, with original words and opinions and suchlike. I recently came across the word “mantiques” whilst doing my daily trawl of the Interweb. It was used to describe antiques that men were collecting. That is of course the short description of it. The longer description would include words such as obsession, toys, old crap, collectables, historical and so forth. For most women the critical words here are most probably old, crap and junk. But let’s face it, it’s a guy thing, right? And I’m sure if you followed the link above and read the article in the Telegraph, we’re all on the same page already. Men collect stuff. Oh, and if you’d like to know someone that really has it bad, try following what Paul over at SEH Kelly writes about the obsessed man that runs the One Man Mill in London. Terrific stuff. I can’t help but have the utmost respect for the man, even though he is quite clearly totally mental. One man recreating the Industrial Revolution, in a space barely large enough for a couple of looms. I hope to meet him one day. I’d like to buy him a pint. It was actually WellDressedGirlfriend who prompted me to write a short series on my own little selection of mantiques (presumably as a form of therapy, she does so despair of my huge pile of “valuable” vintage Jaguar parts filling basement and garage), so here goes post one on the topic. This is a mechanical calculator. A mechanical calculator, you may say? Yes, no electrickery in this one, merely a mechanism that allows you to input two numbers and perform a mathematical operation. This is a basic model, it can only add and subtract. 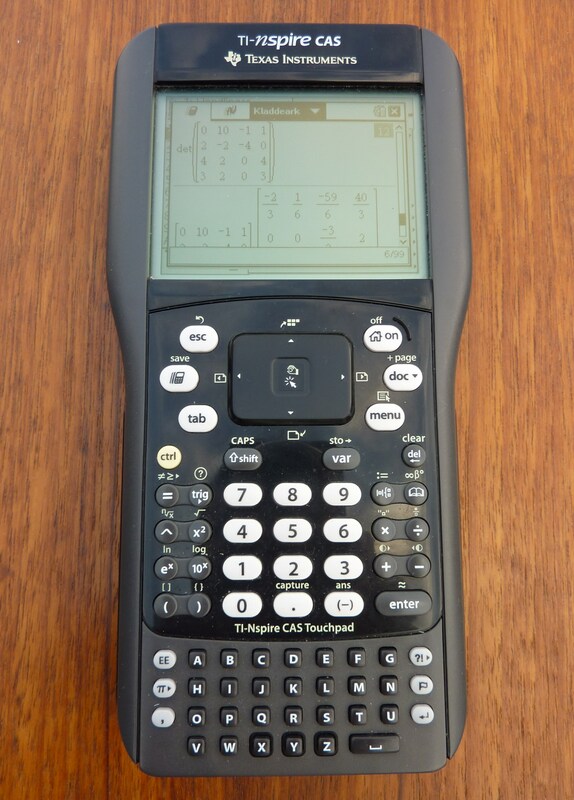 There are more advanced ones that can do more functions, such a multiplications, divisions and more. 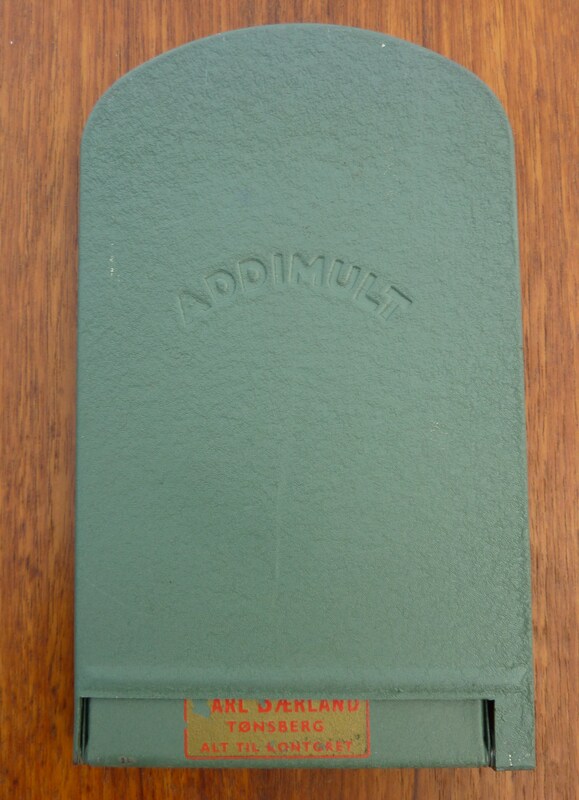 I found this one at a local jumble sale, lying on the floor under some rubbish, all forlorn. Never having seen anything like it before, I had to snap it up. It even has the label from a local office supply company still on it. It was produced around 1960, and there is of course a vibrant Internet-community into devices like this. Having added this device to my collection of desirable collectables, I had to find out how to actually use it. Not too hard, as it turned out, and it’s become something of an intelligence test for visiting male engineers. 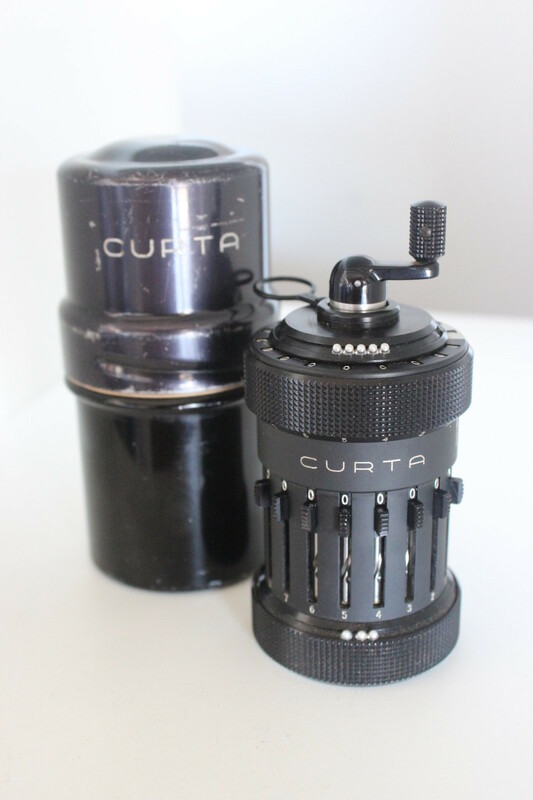 During my investigations I did come across something of a grail item among mechanical calculators, the Curta. Read up on the Wikipedia page, it’s a cracking story. Honest. One day I will own a Curta. Why? Because I must. It is just so incredibly cool. 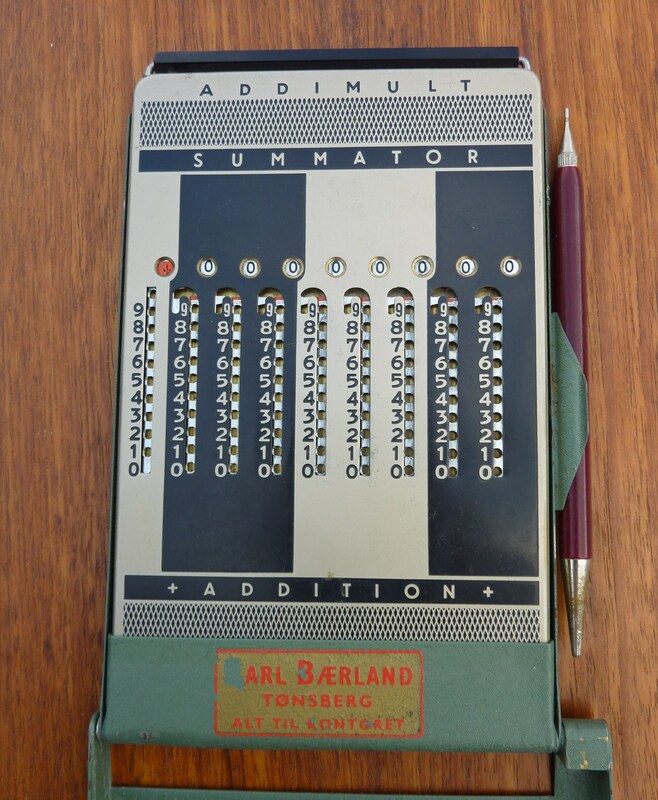 It’s quite hard to fathom the leaps of development that have taken place when it comes to calculators, from the Abacus, via the Addimult, via the Curta to the miraculously advanced device WellDressedGirlfriend is using for her engineering studies today. As compact computer as you can get, yet surprisingly soulless. Will these ever become as collectable? Next week: Something else from the pile of esoterica that I call my collection. The excitement!